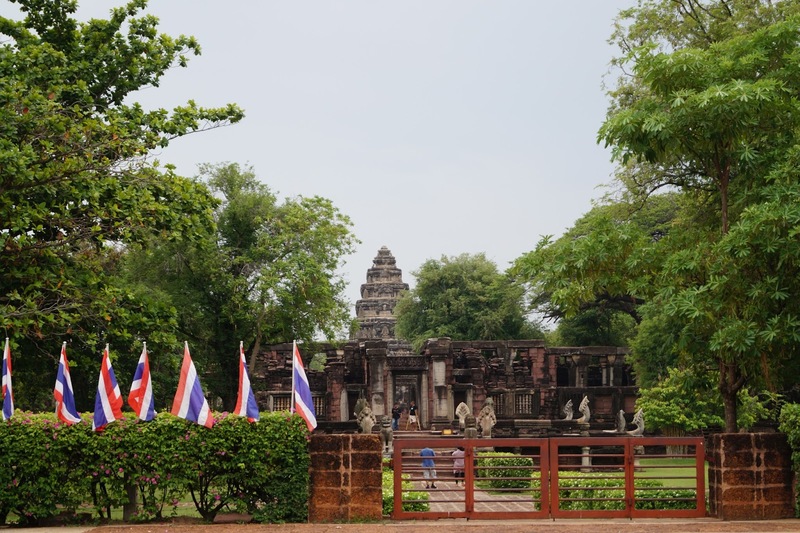 At home, I read a nice blog from someone who went to Phimai. 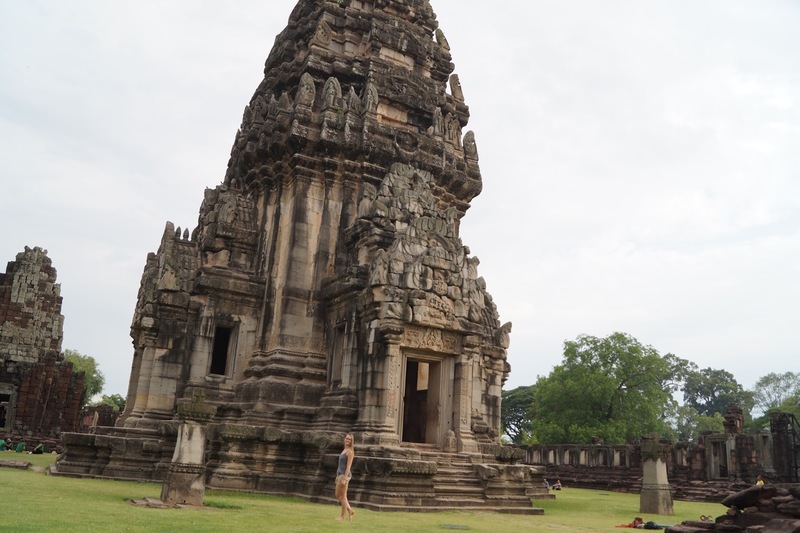 So I decided to go to Phimai after I went to Bangkok. First, I had to catch a bus to Nakhon Ratchasima also known as Khorat. I left my hostel in the afternoon after I finished my previous travellog #1 and arrived at the bus station around 2:30 p.m. I had to wait until 3:15 p.m. for the bus to hit the road. I have read that the bus takes three to four hours to get there. Counting my calculation, I should arrive in Khorat before sunset but of course mine took five hours to get there. There was no clue where I was and there was no one who spoke English on the same trip. It was already dark when I arrived and I had no place to stay which totally freak me out. There was a Thai woman with a kid who spoke a little bit English and helped me to get a taxi and brought me to the nearest hotel. I still was a little bit afraid because I had no clue where I was. Luckily, the hotel had wifi and I could talk to mom :). It made me realize I love to see ruins and castles. Although, I find temples beautiful too. Nature and ruins and castles gives me a bigger smile on my face then temples do. 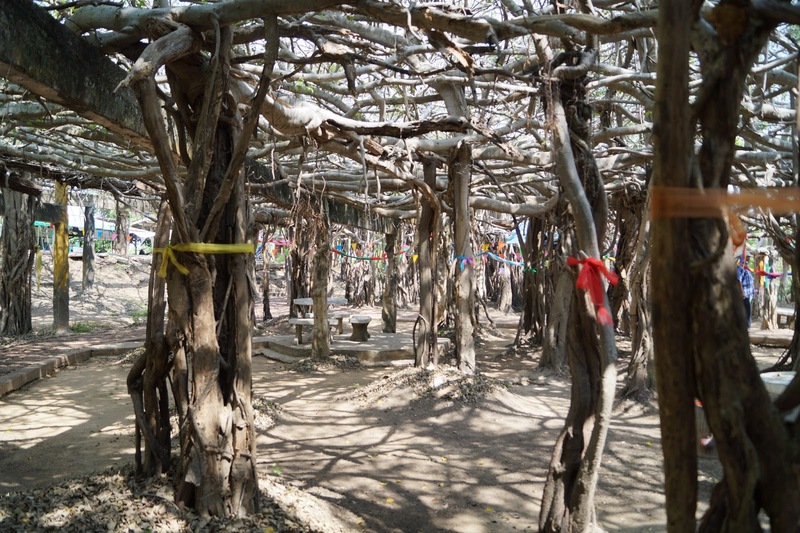 Just to make it more exciting I hit to road by bike (way to small for me.. or I am just to big for Thai bikes :P) and went to the oldest tree of Thailand called Sai Ngam a Banyan tree which is pretty awesome. I met a lovely woman named Theresa from Germany. We talked for a quite a while and road back together. 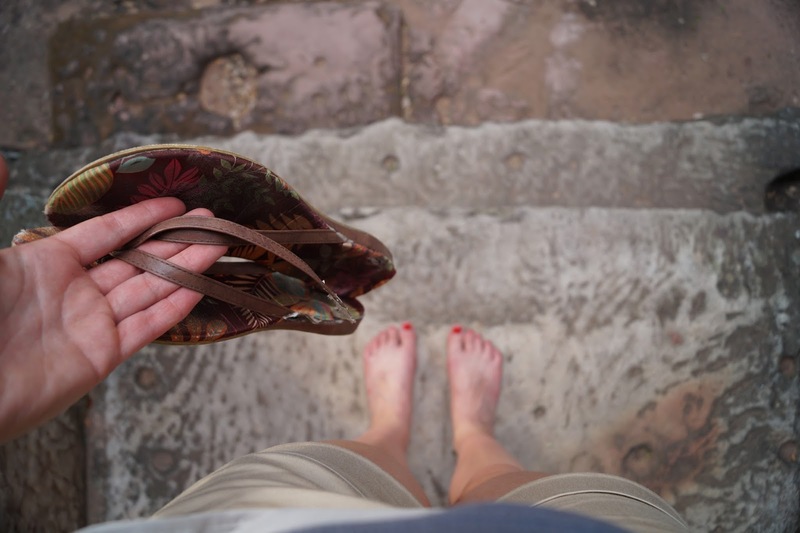 I followed my way to the ruin and stayed there for a while until my flip-flop broke and I had to get some new one.. Walked on my bare feet to the night market and again everybody was looking at me. This time because of my feet. End up buying some flip-flops and fresh fruits and rice and corn for dinner. Went back to the hotel where I ate my dinner. The woman of the hotel came straight at me with a plate and cutlery. She also told me to put my food in the fridge upstairs. The people are so nice around here! 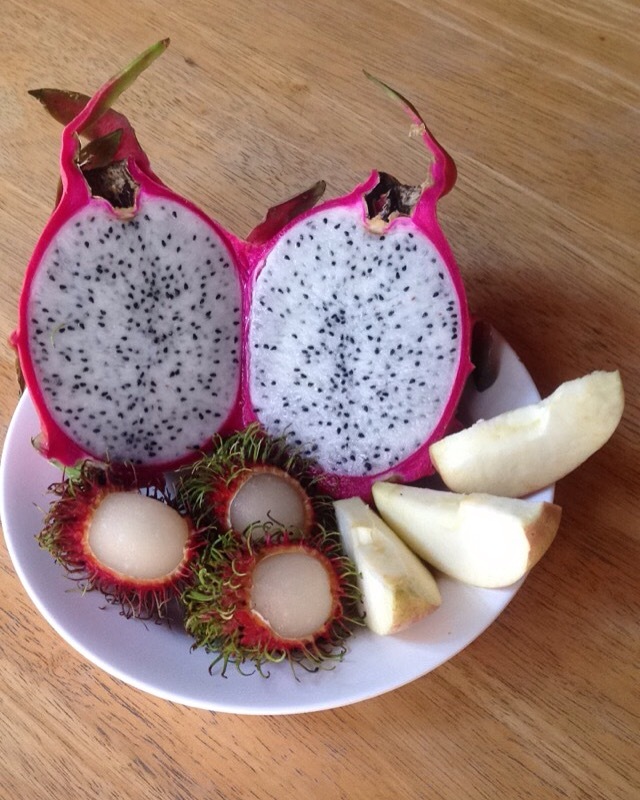 It was pretty early so I went back to the market and bought a green waffle made of a Thai fruity-thing.